The festive atmosphere of communication and business cooperation was created by our sponsors and partners: CROC, Norilsk Nickel, RNT, Rostelecom, UTsSB, FinCERT of The Russian Central Bank, Aquarius, Avast Software, Cisco, Citrix, Hewlett Packard Enterprise, Radware, STEP LOGIC, SuperWave. What was discussed throughout these days? InfoSecurity Russia conference sessions have been extremely popular these three days! An outstanding line-up of experts addressed the industry's hottest challenges and topics. The program featured various conferences, round tables, plenary sessions, workshops and seminars in four different conference rooms. Industrial sector day was devoted to the protection of infrastructure of the critically important facilities, industrial Internet of things, modern processing infrastructures and data protection. Among the hottest topics and discussions of the Financial security day were: the suppression and investigation of incidents in the credit and financial sphere, the counteraction to DDoS attacks, the evolution of security: from natural exchange to blockage, the Internet of things on financial markets, information security at retail enterprises & biometric technologies. At the Technology Day professional society spoke about investment in technology, SOC vs SIEM and modern firewalls. New at InfoSecurity Russia! 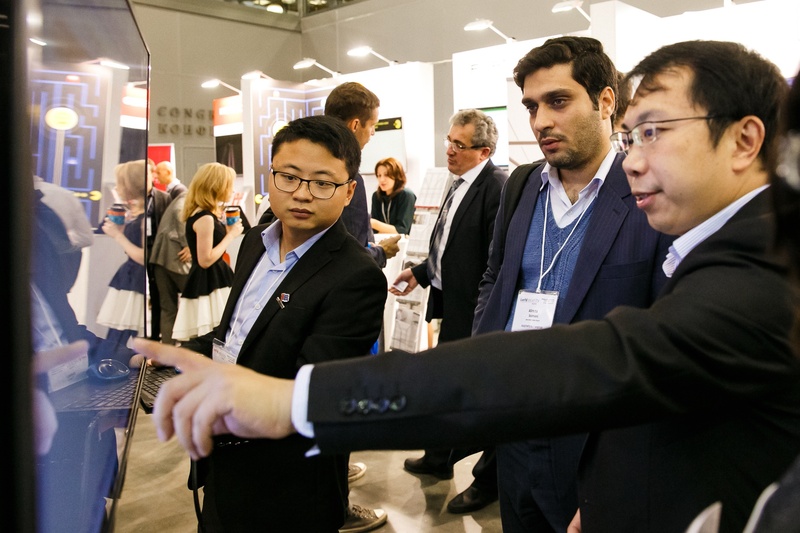 Leading manufacturers from China demonstrated innovative solutions and shared the experience of Asian brands! Video interviews with the industry's leading specialists and thought-leaders will be available very soon! Thank you so much for making the show a fabulous event this year. We hope you’ve had a fun, informative and productive time. See you at InfoSecurity Russia 2018! Keep an eye on our website to watch the videos, download white papers & products materials, check out the conference program and more else.